A.M.A. 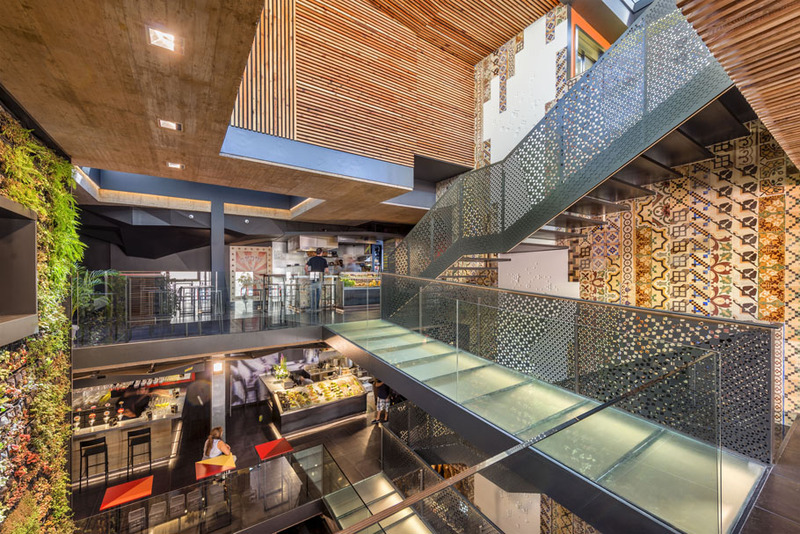 Estudio de Arquitectura architecture studio brings us one of the most striking applications of Krion® that we have seen recently, in the Mercado de San Agustín market in the Spanish city of Toledo. 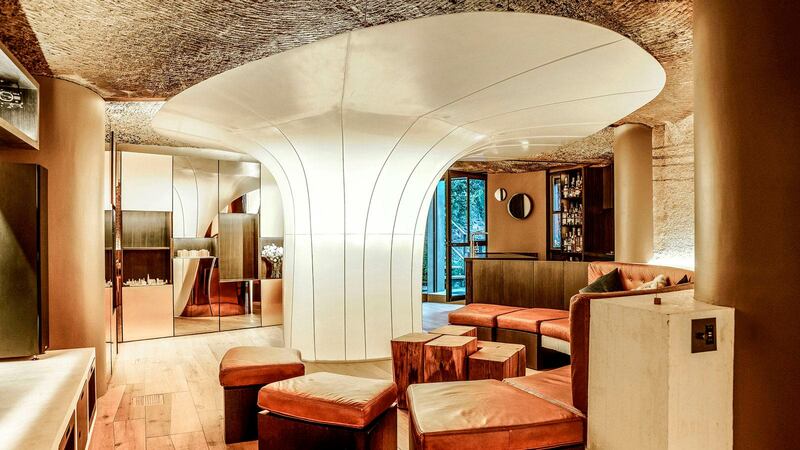 This is a project in which design, art and tradition are combined to offer live showcookings, wine tastings and tastings of typical products in a historical environment, where the renovation of two traditional buildings has led to this gourmet temple. 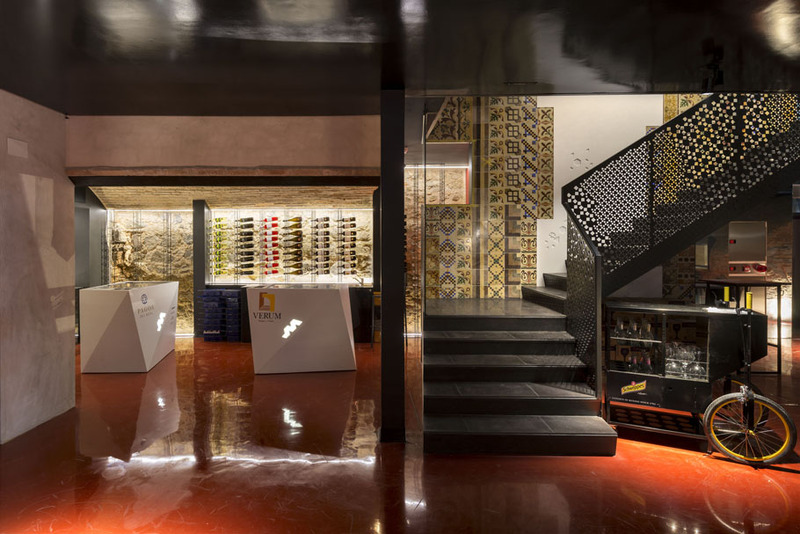 The discovery of medieval ruins in the basement of a typical Toledan house has been integrated in this project, transforming ancient water tanks into a wine cellar and tapas area. 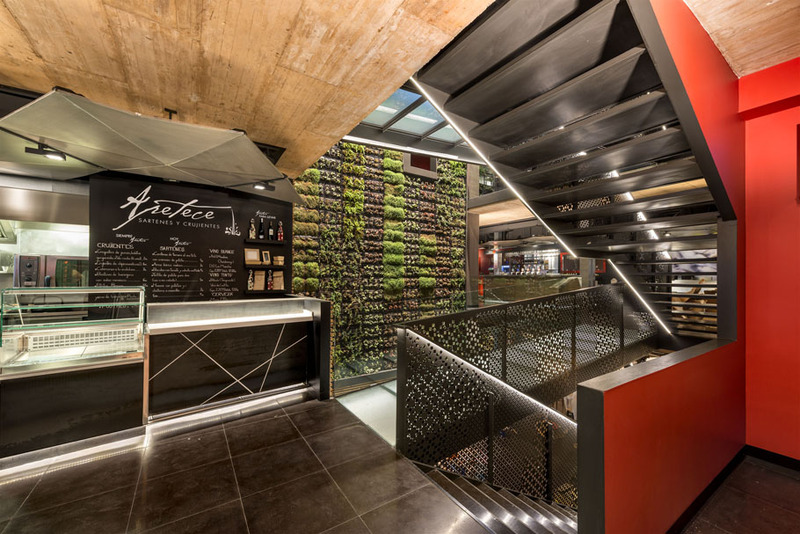 Hydraulic tiles recovered from the construction from the beginning of the 20th century adorn the walls of the market next to avant-garde decorative elements such as a vertical garden and, next to this, a Krion® lattice which runs vertically up the building. 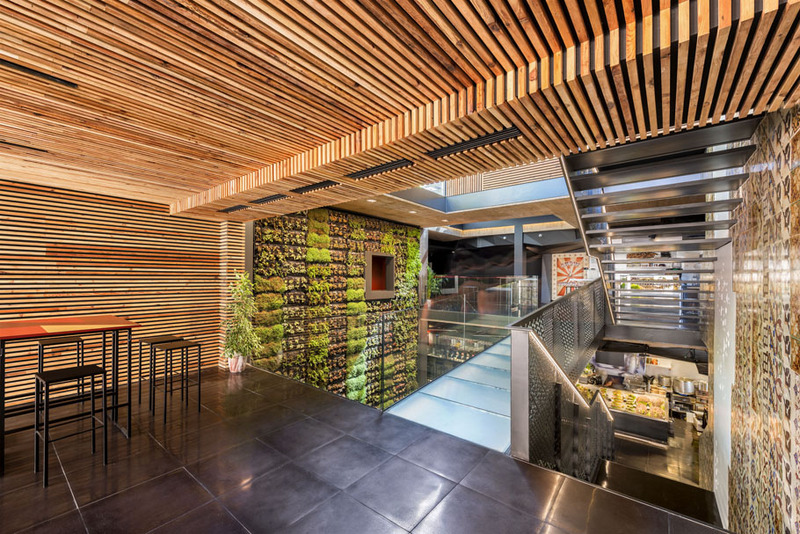 There is a decorative fusion which defines the hallmarks of this 1400 square metre commercial space. 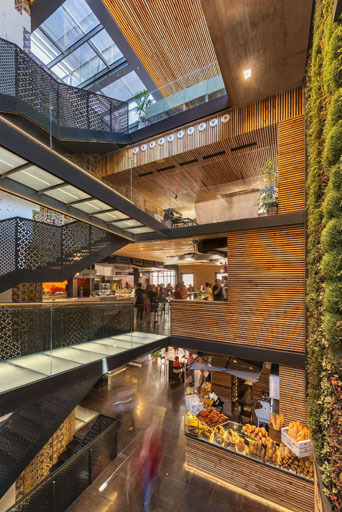 With a height of 15 metres, a Krion® Snow 1100 wall without joins runs through the five floors of the Mercado de San Agustín, hiding the elevator inside. 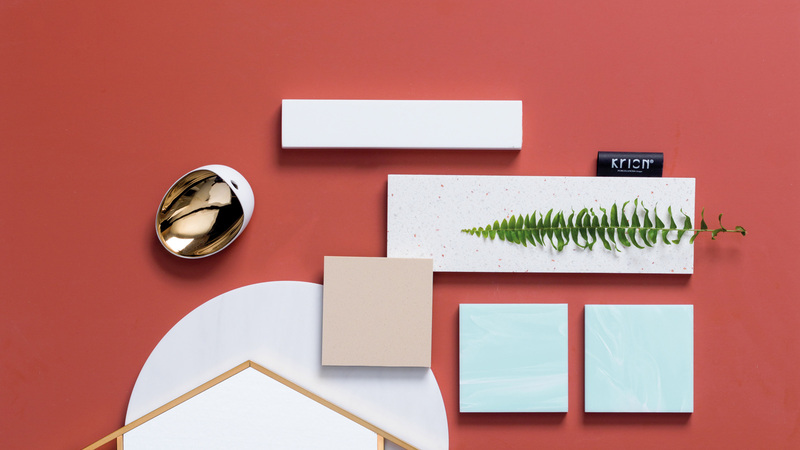 The surface, created by Mármoles Ruedas, has been machine made with motifs which are reminiscent of lattices which were traditionally installed in windows to allow the outside to be observed without being seen. 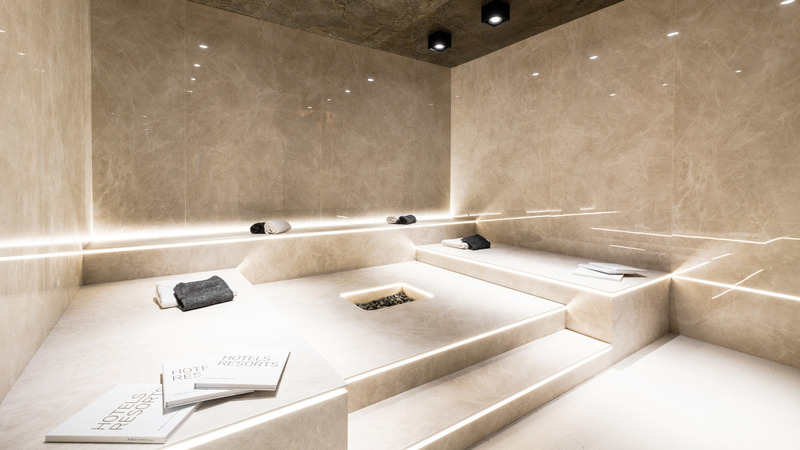 To achieve a more suggestive effect, the translucent type of the compact mineral has been chosen, allowing light to enter when the elevator is working, something possible thanks to the low pigmentation of the chosen solid surface. 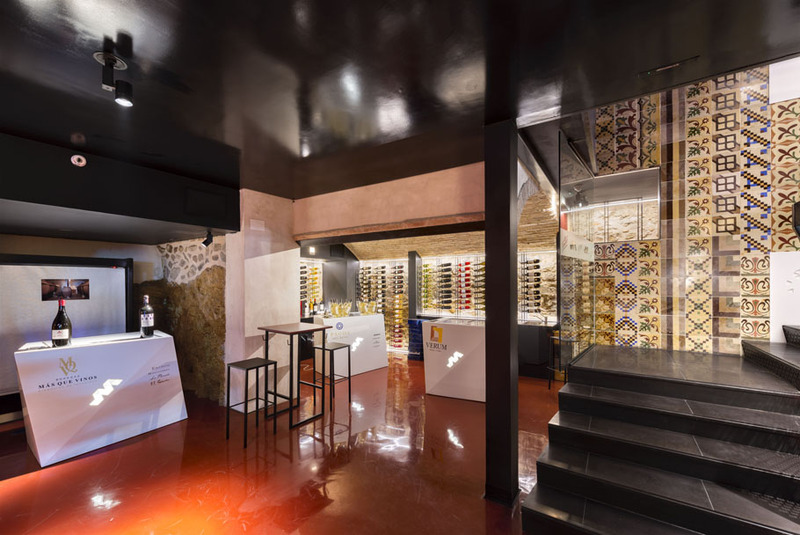 The project managers also used the compact mineral by PORCELANOSA Group to create some bars and wine cellars in the market, made by Encidecor and defined by angular and asymmetrical designs, achieving a modern atmosphere full of contrasts, where products become the protagonists. The project has been carried out with the guidance of renowned chef Pepe Rodríguez, winner of the National Gastronomy Award 2010. 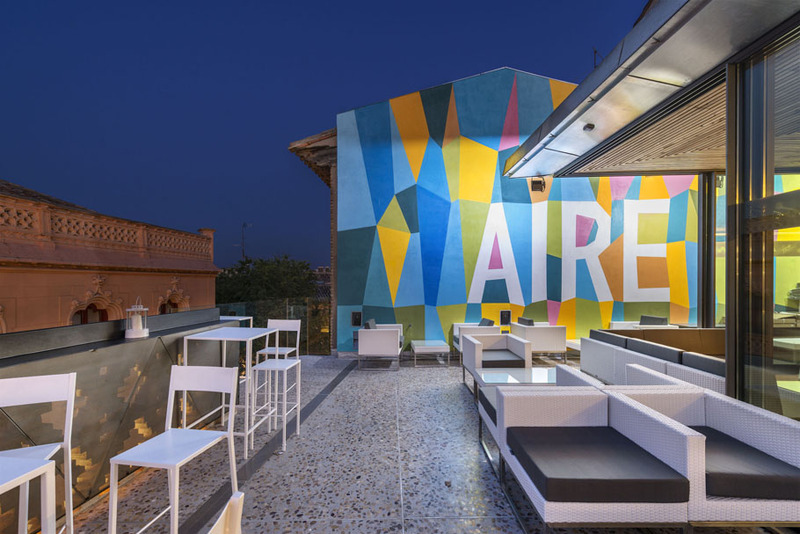 The Boa Mistura collective has put its own artistic touch on the terrace of the building, with a mural of geometric shapes painted in bright colours, in which the word Aire (Air) can be read. 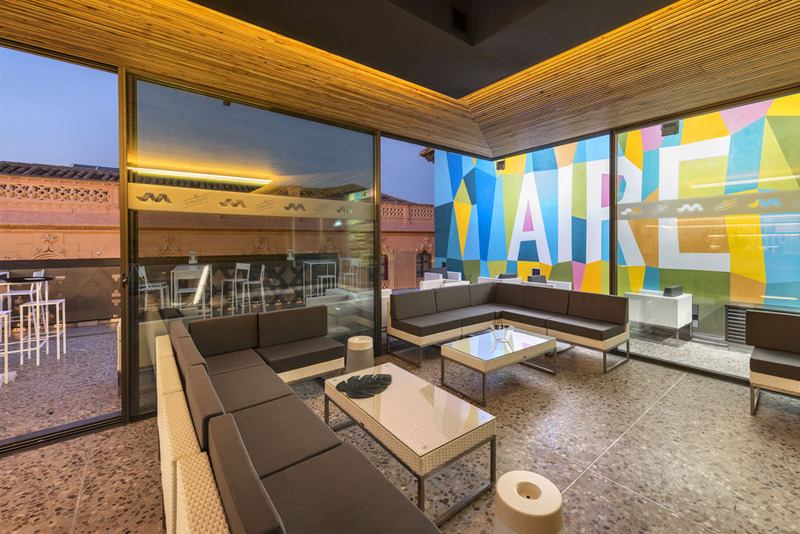 This is a fresh and modern touch which contrasts with the original facade of the building, which has been conserved to keep intact the aura of mystery which surrounds the Toledan city’s historic quarter.